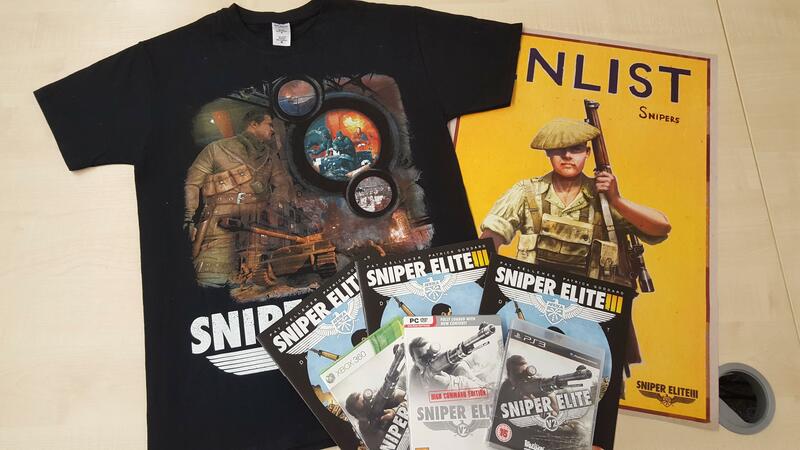 It's Sniper Elite's 10th birthday! HUZZAH! To celebrate, we're doing a bunch of special videos, livestreams, giveaways and more! HUZZAH! OH - and the Sniper Elite series has officially sold more than 10 million units! HUZZAH! It's a momentous milestone to hit, and we're thrilled to be sharing the news with you on the birthday of this amazing series. Here's Jason Kingsley, our co-founder, with a personal message of thanks to you, the fans, for supporting the series over the last decade. Now, that special content? Well, that kicks off today with a special AMA livestream featuring developers of the very first Sniper Elite. So if you've got a burning question you've always wanted to ask about Sniper Elite, games development, or just cats (hint: we like cats), come along and check out the stream tonight at 6PM UK time (1PM ET / 7PM CEST) on the Rebellion Twitch channel - especially if you like prizes (peep below). We'll have a whole bunch of other things going on over the next month, so make you keep your eyes peeled (and your accounts subscribed!) to us on Facebook, Twitter and YouTube!